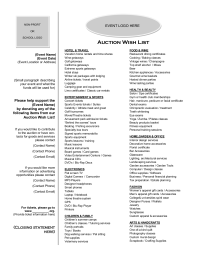 Completed example of the streamlined application for tax-exempt status, reflecting a typical K-8 PTO; included in the PTO Startup Toolkit. 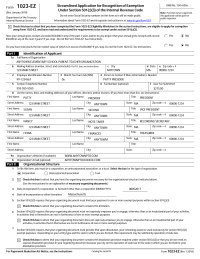 More information about IRS Form 1023-EZ and this completed sample can be found in the PTO Startup Toolkit, which includes line-by-line instructions for submitting the electronic application. Downloads: 222 Members only ? 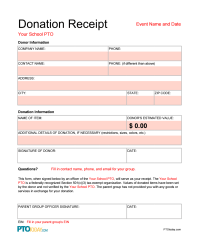 Use this Gifts-In-Kind donation form for all of your secured donations. Sample completed Schedule O for the 2017-18 tax year, filled in to reflect a typical K-8 school parent group. 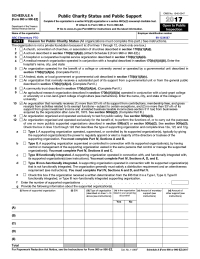 This completed sample supplements the IRS Form 990-EZ Completed Sample. 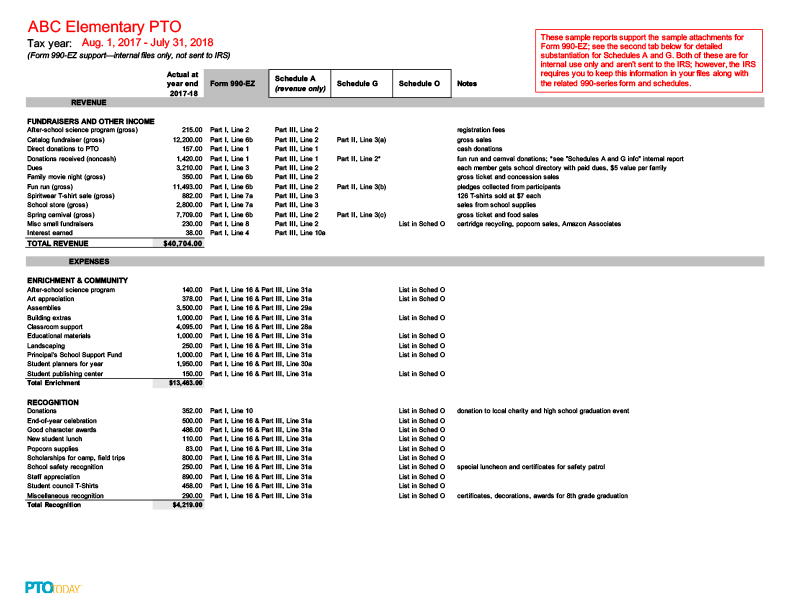 More about Form 990-EZ, Schedule O, and this completed sample are in the Treasurer's Toolkit, which also includes a Schedule O Line-by-Line Description. The latest versions and instructions for all IRS forms should be downloaded from the IRS website. Downloads: 1635 Hot! Members only ? 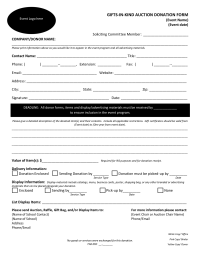 This IRS form has been filled in as an example of how a typical K-8 school parent group might complete the application. 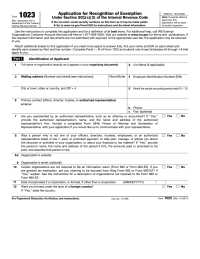 More information about IRS Form 1023 and this completed sample can be found in the PTO Startup Toolkit, which includes line-by-line instructions for submitting the application. Downloads: 553 Members only ? 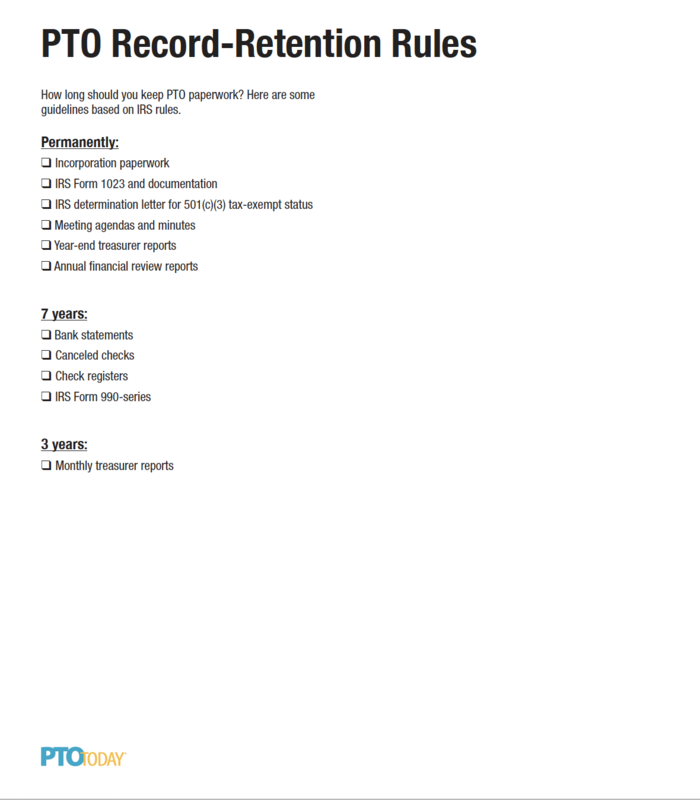 How long should you keep the monthly treasurer reports? 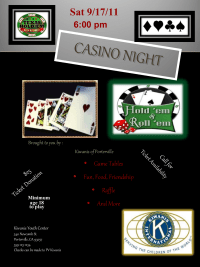 What about canceled bank checks or the yearly Form 990-EZ information returns? 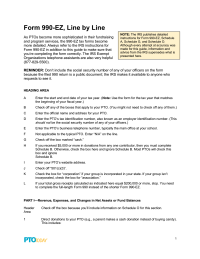 This checklist is based on IRS rules and includes guidelines for some of the most common types of PTO and PTA paperwork. The 2017-18 tax year version of Schedule G, filled in to reflect a typical K-8 school parent group. 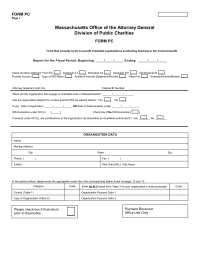 This completed sample supplements the IRS Form 990-EZ Completed Sample. 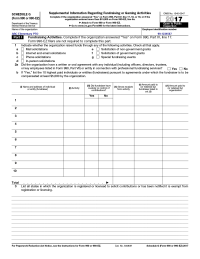 More about Form 990-EZ, Schedule G, and this completed sample are in the Treasurer's Toolkit. Also in the Toolkit is a Schedule G Line-by-Line Description. The latest versions and instructions for all IRS forms should be downloaded from the IRS website. Downloads: 157 Members only ? 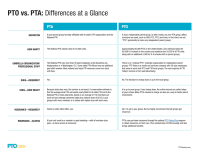 Reproducible chart comparing PTA and PTO groups' dues, insurance, nonprofit status, and more. 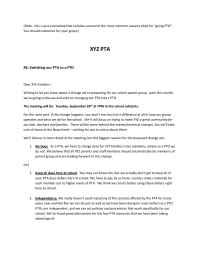 PTO Today's comprehensive guide for parent group treasurers helps them manage their group's finances and keep funds secure. 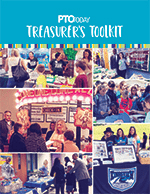 The toolkit includes guidance on all key financial steps, such as keeping accurate financial records, tips on smart budgeting, how to create a treasurer's report, and a checklist of important monthly tasks. Downloads: 4476 Hot! Members only ? Detailed example of year-end financial info to support the completed samples of Form 990-EZ, Schedule A, Schedule G, and Schedule O for the 2017-18 tax year. 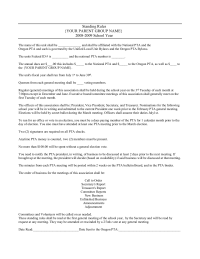 More information about these year-end treasurer reports and annual filing with the IRS is in the PTO Treasurer's Toolkit. Downloads: 573 Members only ? 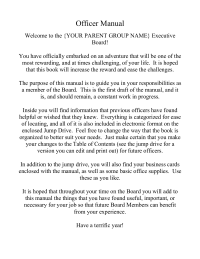 Detailed explanations for a typical K-8 school parent group filling out IRS Form 990-EZ. 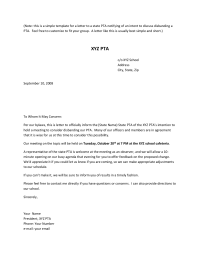 More about Form 990-EZ is in the Treasurer's Toolkit. The latest versions and instructions for all IRS forms should be downloaded from the IRS website. The 2017-18 tax year version of Schedule A, filled in to reflect a typical K-8 school parent group. 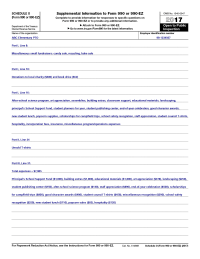 This completed sample supplements the IRS Form 990-EZ Completed Sample. 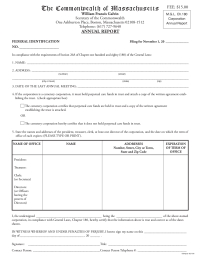 More about Form 990-EZ, Schedule A, and this completed sample are in the Treasurer's Toolkit; the Toolkit also includes a Schedule A Line-by-Line Description. The latest versions and instructions for all IRS forms should be downloaded from the IRS website. Downloads: 241 Members only ?